No matter what kind of vehicle you’re looking for, it’s important to take into consideration all the interior and exterior dimensions of the vehicle. After all, looking at the interior dimensions can help you get a better idea of how much passenger and cargo space you have to work with. Examining the exterior dimensions, on the other hand, can be beneficial to see if it’s too big or too small for your liking. It can also tell you whether you’ll be able to fit it in your garage or in those tight, city street parking spots. If you’re considering making the 2019 Volkswagen Passat your next vehicle and are on the hunt for its dimensions, you’ve come to the right place. 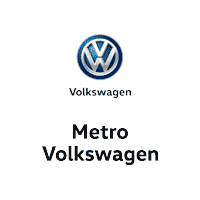 On this page, we at Metro Volkswagen will give you all the dimension details you need. Shoppers in the Irving, Grand Prairie, Grapevine, and Dallas areas should read ahead to get started! With these exterior dimensions, you’ll never be cramped inside the interior. As you’ll see below, these dimensions give you plenty of interior room to work with. However, the exterior dimensions of the VW Passat aren’t so big that it’ll make parking on the street, getting out of tight spaces, and fitting comfortably in the garage difficult. On top of all this space inside the cabin of the VW Passat for your passengers, you’ll also have plenty of cargo room in the trunk for your things. The VW Passat’s trunk can hold a whopping 15.9 cubic feet of cargo! With this kind of cargo room in the trunk, you’ll be able to fit plenty of luggage, a big haul of groceries, and even materials for your next home improvement project without having to sacrifice any of the seats inside the cabin. We at Metro Volkswagen hope this guide to the dimensions of the 2019 Volkswagen Passat gave you all the information you were looking for. Spacious interior dimensions and a stylish body are far from all the VW Passat has to offer, though. Get behind the wheel and get the full experience for yourself by taking a test drive with us. Shoppers in the Irving, Grand Prairie, Grapevine, and Dallas areas can schedule theirs today by giving us a call at the dealership!